Web store.Just like the feature in Android that can be enabled/disabled in settings, but here in chrome there is no such simple method to enable or disable installation from unknown sources. Google says that they added this security feature, so that malware and viruses can't be installed from unknown sources. They explained that recently, some hackers made some custom scripts and extensions that get installed on users browser and causes to run malicious code on user's computer without his/her knowledge. So they disabled installing scripts from other websites. Now user can install extensions and scripts only from the Official Chrome Web Store. First of all, go to the page where your script is located or hosted. You can use userscripts.org to find custom scripts for various purposes. Now click on Install or Download to download the script. Your script will be downloaded in your downloads folder and you will get a warning message saying that scripts from unnknown sources can't be installed. Just ignore that. Now go to settings in your chrome browser. Go to extensions tab. Keep this extensions window open. Now open your downloads folder and find the extension or script that you just downloaded. Just drag that script to extensions window of chrome and you will see a pop up message asking you to add that extension to chrome. Click on Add to Chrome and that's all you have to do. Now your extension or custom script has been successfully installed. If you are a regular user of custom scripts and requires scripts or extensions to get installed instantly like before then here is an another method by which you can permanently enable the Installation of Apps,Extensions,Games and Scripts from Outer sources. 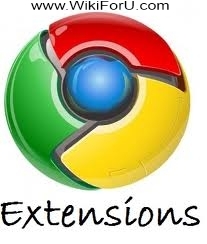 Read this: How to Enable Installation of Extensions and Scripts from Outer Sources Permanently in Google Chrome.